Hollywood has not been kind to the security officer, who is most often portrayed as the inept stooge who only succeeds through sheer accident or is the insider who pulls off the heist. History tends to forget guards like Frank Willis, the security officer who discovered the Watergate burglary which led to the downfall of a sitting President. Security Officer Richard Jewell saved countless lives when he discovered a bomb at the 1996 Summer Olympics only to be vilified by law enforcement and the media as the prime suspect. He was later exonerated, but only after significant personal turmoil. Many of us know that 343 fire fighters and 60 police officers died at the World Trade Center in the attack of September 11th. Does anyone know how many security officers scarified their lives on that day? The answer is eleven, but that’s something that most people don’t remember. What sets apart the professional security officer from the stooge with a flashlight? The reality is that nobody grows up with the childhood dream of working in security. The vast majority of guards use it as transient employment to another industry or in tough economies, a job in lieu of a career in their chosen field. Just as in every other segment of society, there are the bad apples and the rock stars, but most fall somewhere in the middle. This year there will be thousands, if not tens of thousands of MBA graduates from Ivy League schools around the country. A few will become Fortune 500 CEO’s and some will end up in jail for SEC violations, but most will toil away in middle management for their entire career. Just as in every industry, the security companies that realize their product is the people they employ will recruit and retain the best and brightest. A proven business model of training, incentive and appreciation will bring out the “Rock Star” potential in every officer. So with all this in mind, how do you go about selecting the right security vendor for your needs? In Arizona, there were 316 licensed security providers at last count. Security companies come in every shape and size. From the Stooge with the flashlight to full tactical teams protecting dignitaries in hostile environments, security companies run the gamut. The first steps is identifying your specific requirements. Any reputable company will offer to meet with you in person at no charge for a needs assessment. Would a flooring vendor quote a price to lay tile without first looking at the building to determine the scope of work? Of course not, and neither will a reputable security company. Is foot, bike or vehicle patrol best? Armed or unarmed? Plain clothes or uniformed? The best companies offer a variety of services to meet the needs of any client. Be wary of any company who only offers a single solution or attempts to convince you that their way is the best or only way. Remember, if your only tool is a hammer, every problem looks like a nail. What about customer service? There will be the occasional problem, it’s unavoidable in any service industry. The question is how the company responds? Do you as the client have 24 x 7 access to the senior management or ownership team? Do they have enough employees to switch staff in case the assigned officer just isn’t the right fit? Can the company provide officers on short notice for fire watches or other emergencies? Is the company ownership local, or are they a multi-billion dollar conglomerate based on another continent? Training is a significant overhead cost. What kind of and how much training does the company provide its officers? The State of Arizona mandates that anyone wishing to qualify as an armed guard and carry a firearm on duty complete a 16 hour training class. Conversely, in order to be a Cosmetologist, the State of Arizona requires 1200 hours of training. If that doesn’t concern you, it should. Professional organizations spend considerable resources exceeding the mandated training standards for their employees. We live in a litigious society. Would you rather have a guard company that maintains the state minimum insurance requirement of $300,000 per event, or the professional company with policy limits of $5 million or more? Reputable companies protect your assets from more than just the bad guys. When selecting a security provider exercise due diligence, ask the questions and don’t settle. The professionals in this industry see the good, the bad and the ludicrous. Our goal is to change the perception of the bumbling stooge with the flashlight. By the way, our industry has a term for that stooge…we refer to him as the lowest bidder. 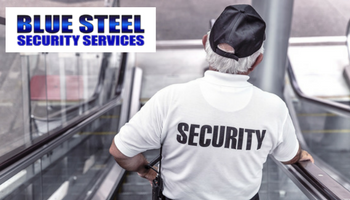 Be sure to check out Blue Steel Security’s website and their profile in our directory! Kick start your multifamily career into overdrive by creating your FREE Multihousing Friends account today! 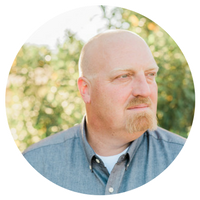 Mark is co-owner and Chief Operations Officer at Blue Steel Security. In addition to overseeing the day to day operations of Blue Steel, Mark is also teaches courses in personal safety and active shooter response to a variety of local public and private entities.